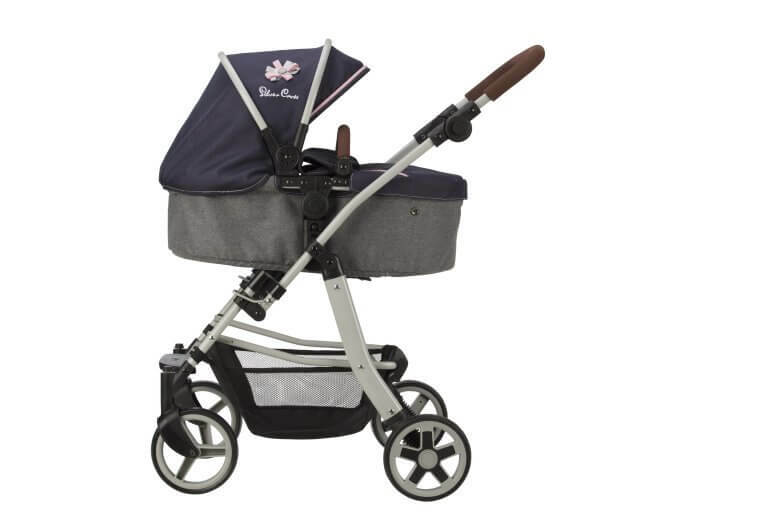 An exclusive new collection of Silver Cross doll’s prams, pushchairs and accessories have been launched by Play Like Mum to make this Christmas the most special yet for little ones. Maintaining the unrivalled quality and attention to detail expected from one of the world’s leading nursery brands, Play Like Mum exclusively offers a number of the most popular models from the Silver Cross nursery range, carefully designed to imitate the grown-up versions. Several new products have now been launched in time for Christmas. The Wave is the ultimate in dolls prams. It has 14 different combinations featuring a pushchair seat and removable pram carrycot which can be both front and rear facing. With adjustable handles it is suitable for children up to the age of 12. Priced at £119.99 The Wave is available in Vintage Pink and Vintage Blue. The Simplicity 4 in 1 Dolls High Chair is highly versatile and can be used as a high chair with tray table, or turned into a carry cot travel seat which also fits onto Play Like Mum’s original Silver Cross Pioneer 5 in 1 and Sleepover frames. The Pioneer and Sleepover cot can also fit onto the high chair frame to be used as a rocking crib. Priced at £39.99, the frame folds away for easy storage and is available in Vintage Pink, Eton Grey and Vintage Blue. The Pop Max and Pop Twin Max are larger versions of the popular Pop pushchair with innovative fully adjustable handles from 76-82cm and are perfect for children aged from 4-9 years. They can also fit a doll up to 50cm so plenty of room to take all their favourite dolls out for a walk. Priced at £39.99 and £49.99 respectively, both are now available to order in Vintage Pink and Vintage Blue. Of course, no pram is complete without a passenger. 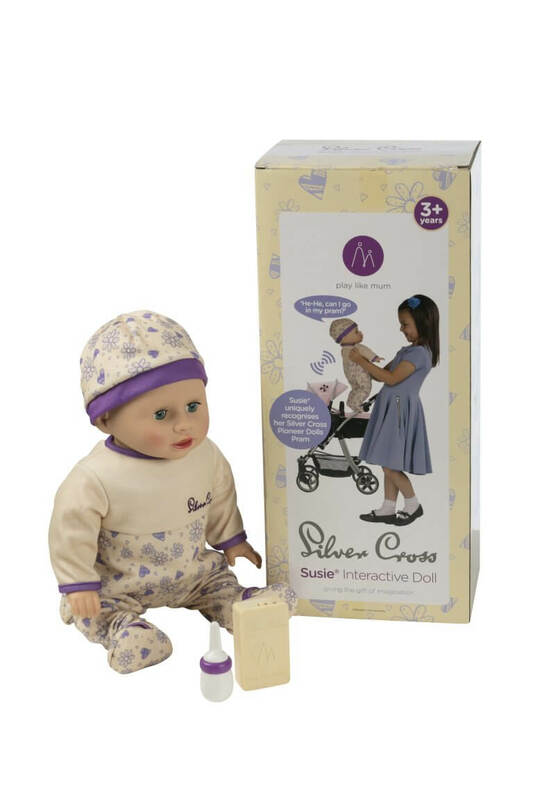 The Silver Cross Susie® Interactive Doll can recognise her own pram when the included sensor is put into the pocket on the underside of the Silver Cross 5 in 1 Pioneer dolls pram. She will tell you she wants to go for a walk, when she is close to her pram and cry and want to go back in it when taken out. She can giggle, cry, talk, be fed with her bottle and tell you if she has had enough or wants more. The Interactive Susie Doll is priced at £44.99.